Backing up is something that you don’t think about until it’s ALL you can think about. You don’t really need it until the day comes when a device fails, and then you REALLY need it. As the old adage says, “An ounce of prevention is worth a pound of cure.” In that spirit, let’s take a look at what you can do to be sure you are prepared when the day comes that you need that backup right away. Backing up iOS devices used to be more of a problem when we had to rely on iTunes via a computer, alone. However, Apple has made things a lot easier since the introduction of iCloud in iOS 5. Since that time, we have had the capability to backup our devices to the cloud automatically. 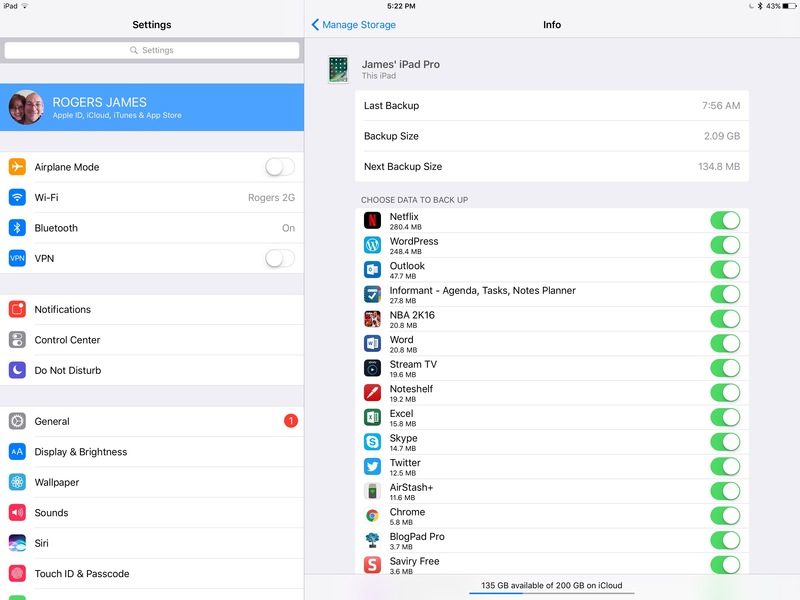 To check you backup status, head to your iCloud menu in Settings. In the latest version of iOS, this is under the new Profile Banner inside Settings, at the top of the page. 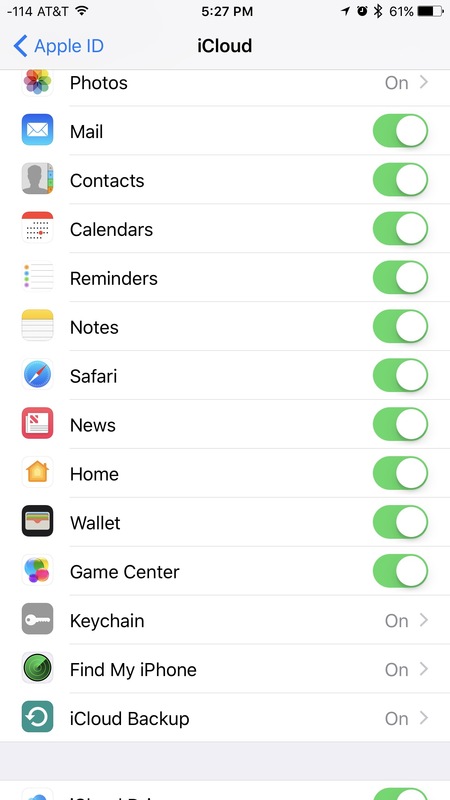 Once inside iCloud settings, you can see whether iCloud Backups are enabled at the bottom of the list of Apps Using iCloud. 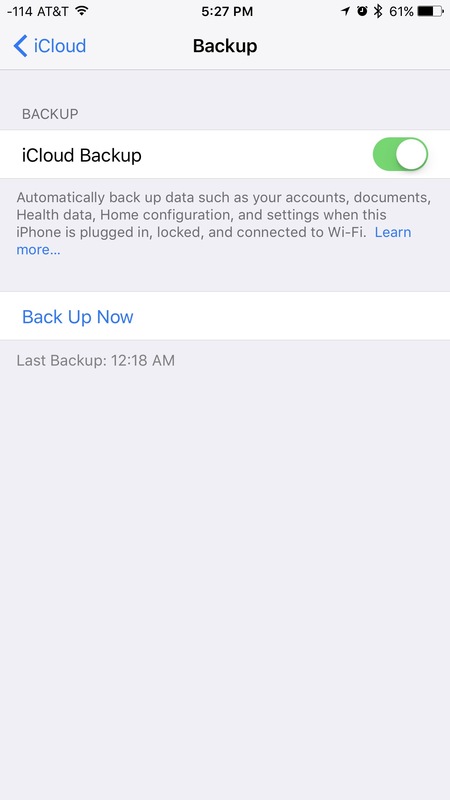 Inside the iCloud Backups menu you will find a single enable button to turn on backups, as well as a Back Up Now button to force a manual backup, and a status message showing your last backup date and time. Your device is plugged into a charger. Your device is connected to WiFi. The screen of your device is locked. As long as these three conditions are met, you should have a backup at least daily. It is a very good idea to check this menu from time to time to make absolutely certain that your backups are taking place, especially in any instance when you know you are about to upgrade, switch, or give away devices. 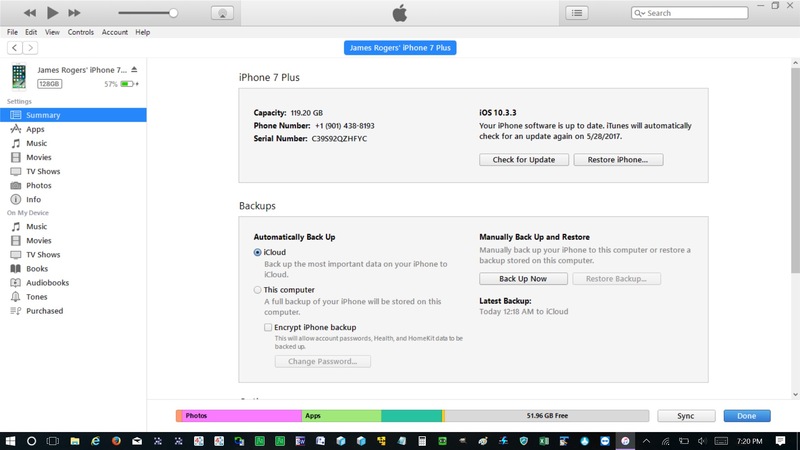 Use the Back Up Now button to force a backup if you have made changes since the last shown backup time that you want to be able to restore. One thing to note is that, while you must be connected to WiFi to perform a Back Up Now manual backup, you do not have to have your device plugged in. If there is an issue with the automated backup, you will get an error message on your device. The most common problem is a lack of space in your iCloud account. Since the free storage level is only 5 GB, which is your space for all of your documents, email, photos, and backups, it tends to fill up pretty fast. This is especially true if you have multiple devices on a single account. If you are out of space, you will need to either turn off the backups for certain apps or services, or you will need to upgrade to one of Apple’s paid storage tiers. More on iCloud and data management for backups in just a bit. If a lack of iCloud Storage space is the issue, then you will get an error notification on your device every time a failure occurs. The other common issue with an automatic backup is that not all of the three criteria above are being met. It is easy to forget to charge overnight or to re-connect to WiFi if you have it turned off. Eventually, iCloud will send you a reminder that your device hasn’t automatically backed up in several days so you can take corrective action. 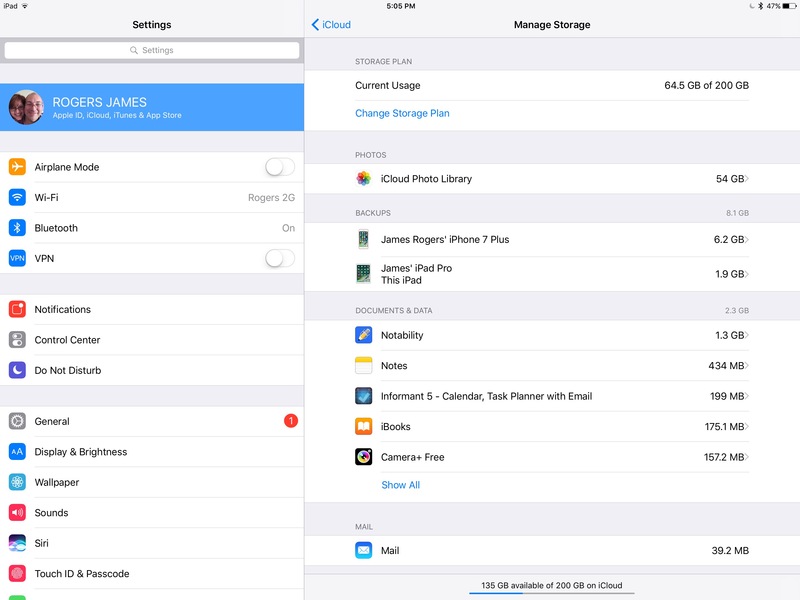 If you find yourself low on iCloud storage, there are a couple of ways to get to the iCloud Storage menu. First of all, the menu is available under Settings-General-Storage and iCloud Usage. 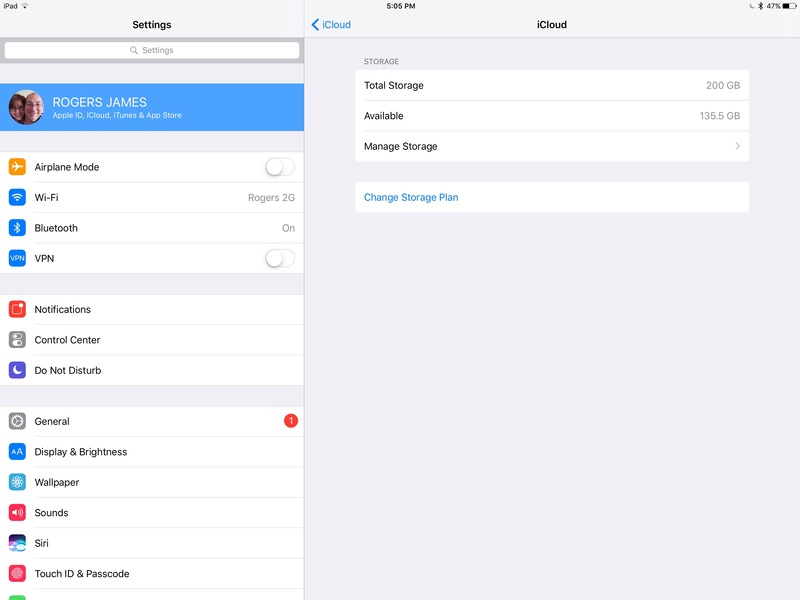 The same menu can also be accessed by tapping the Storage graph at the top of the main iCloud menu. From here, tap on Manage Storage to open the menu. This menu gives you all of the basic details of how your iCloud storage is currently allocated, including your backups. You can address individual documents that are taking up room by tapping on their associated app and deleting them. If your iCloud Photo Library is the culprit, you can Disable and Delete it by going into the menu and tapping on the button shown below. 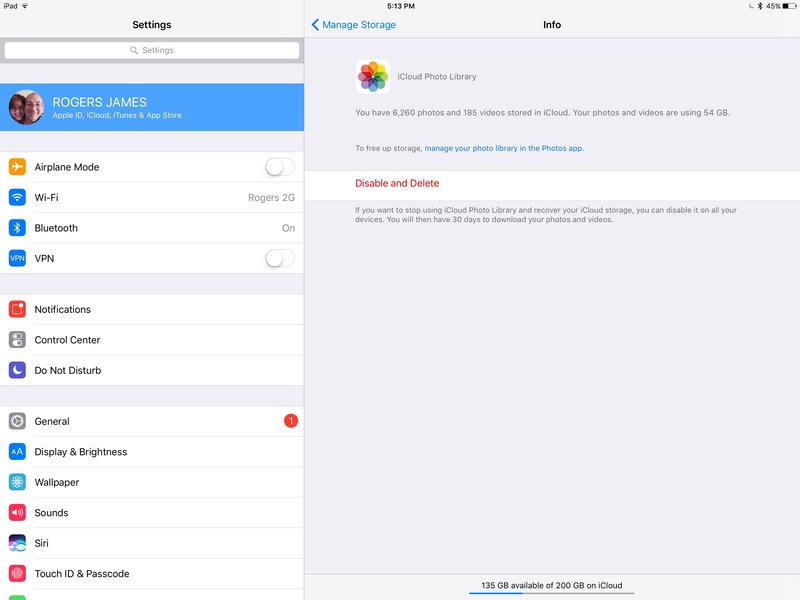 Be advised that there is an Optimize Photo Storage option in the Photos menu under the main iCloud menu. However, this feature only relates to LOCAL device storage. Full versions of all your photos are always stored in iCloud if Photo Library is turned on. Short of deleting unnecessary photos or backing up some content to alternate cloud or local storage, there isn’t much you can do besides finding alternate means of photo storage. More on this in a second. If everything outside of your backups is set up properly, then you can tap the backup for the device that you are using to adjust its setup. Note that you get a basic menu for other devices that are backed up to your iCloud account, but only have the ability to see the size of the backup and to delete it. If you want to adjust the settings of an iCloud backup, it has to be done on the device associated with that backup. If there are apps that don’t need to have their local storage backed up, just turn them off in the list to remove them. Examples would be any app that backs up to alternate cloud storage, social network apps, and apps that have their own backup methods. Pro Tip: One of the easiest solutions to iCloud storage issues is to disable iCloud Photo Backup and switch to a different method of photo backup. As many already know, Google offers free unlimited photo and video backup and storage through their Google Photos app. Their app and service will do automated backups of all your photos and videos and they have all of the same features that iCloud Photos has and more. If you don’t feel like paying to upgrade your iCloud storage, this is usually the easiest way to clear space. However, there is one caveat- Google will downgrade the image and video quality using their free storage. As with iCloud, you have to pay for full resolution. Offloading the task of photo backup to another service is also possible. If you pay for Dropbox, Box, or OneDrive storage, then they may be better options for you. They all have iOS apps that will also do photo backups. They just don’t have the features of iCloud and Google. If you are an Amazon Prime member, you can also get photo and video storage through their iOS app, which is a little closer to what Google and Apple offer, feature wise. Basically, every major cloud service can back up your photos. It’s all about what makes the most sense for you. If you prefer to keep iCloud Photo Library enabled, then it may be time to fork over a little cash to Apple’s growing Services business. 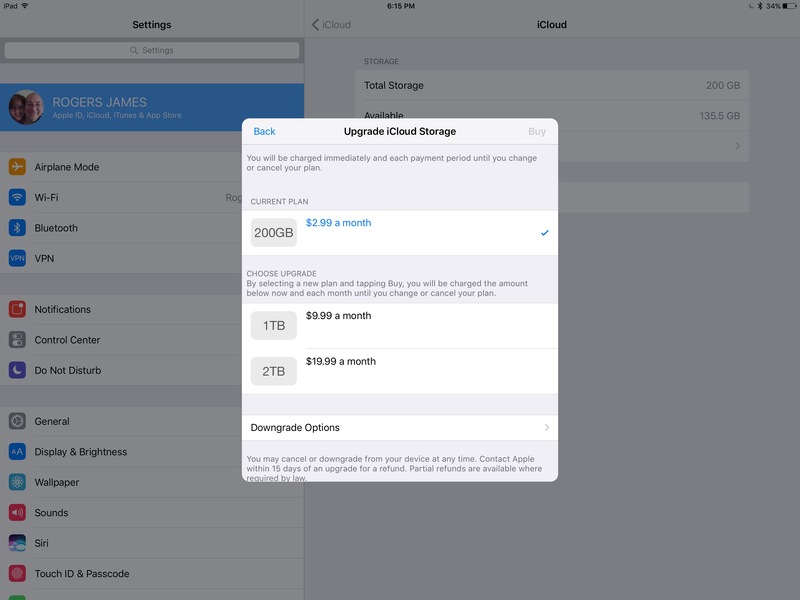 Using the same iCloud Storage menu shown above, simply choose the Change Storage Plan option. As you can see above, Apple’s offerings are fairly basic. There are only three paid storage tiers, and their prices are in the neighborhood of other cloud services. The main drawbacks to purchasing extra storage is that it isn’t shared between accounts unless you have multiple people sharing a single iCloud account. If you are backing up Calendar, Contact, Reminders, Notes,etc, then this isn’t a practical solution. If Apple would be a little more reasoanble and allow plans to be purchased through Family Sharing, then they would probably have a lot more sign ups at the 2 TB $19.99 per month level. What’s In an iCloud Backup? So what exactly are you backing up when this automated process occurs? Pretty much everything, actually. Here is the exhaustive list from Apple. Notice that ApplePay and TouchID are NOT included. These have to be set up from scratch every time you charge devices or after a device restore. I can’t imagine recommending iTunes as a primary backup method for any iOS device owner today. However, it is still there when you need it. 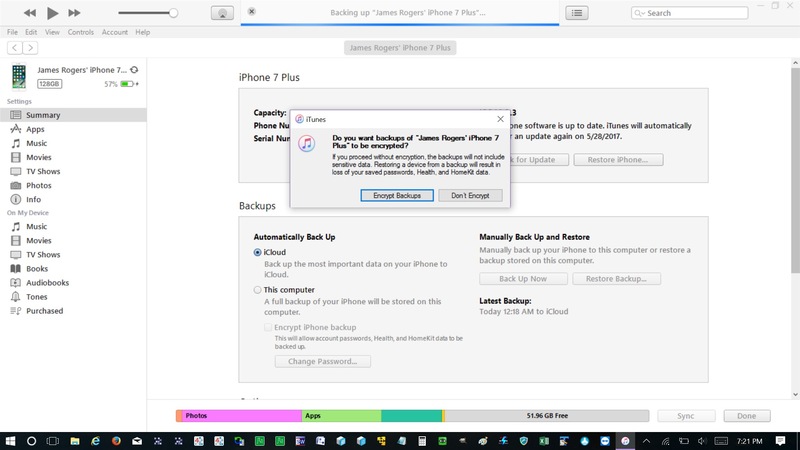 It is particularly useful if you are backing up to restore onto a new iOS device, as the process of restoring your apps and app data is much faster than pulling the data down from iCloud. iTunes is also a good option if you want to archive local copies of your device backups. This would allow you to take the completed backup file off your computer’s hard drive and store it elsewhere. 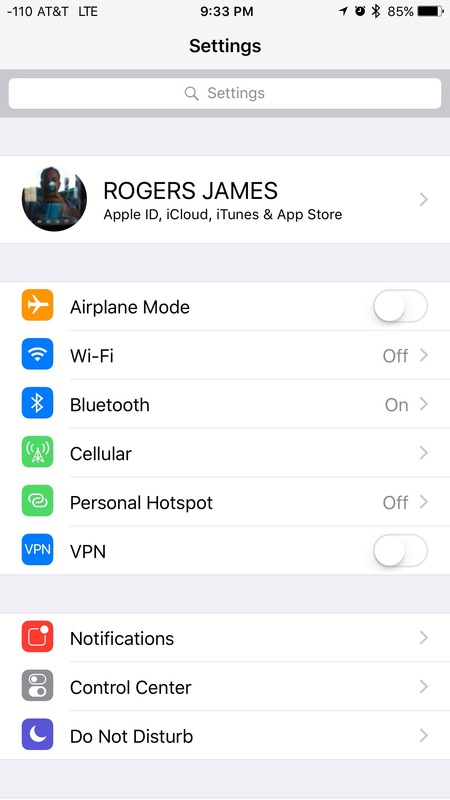 As you can see below, once you connect your device to your computer and open iTunes, you can set up either Automatic or Manual backups. If you choose Automatic, be advised that this will disable your iCloud backup. However, you also have the option to do a one-time Manual Backup, which is what I recommend. One thing to note about iTunes backups is that if you don’t encrypt them with a password, then your Health and Activity data and Apple Watch backups (if applicable) will not be stored. 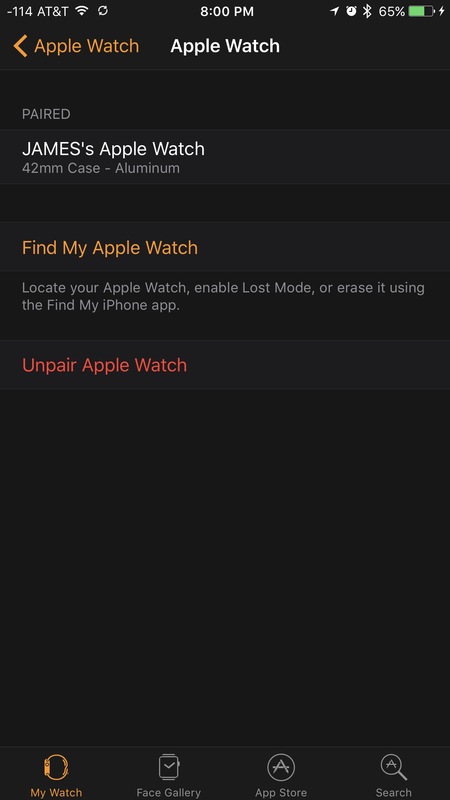 If you own an Apple Watch, you may know that there are no visible backup settings available. This is because your Watch backs up to your iPhone automatically, and then becomes part of your iPhone’s backup. There is currently no way to force a manual backup. The one known time that a backup of an Apple Watch occurs is when it is Unpaired from its host iPhone. This is done if you are either replacing your iPhone or Watch, and need to Pair and Restore the backup after the switch. I’ll leave you with this. There is absolutely no reason to not back up your iOS devices. There are two viable methods to do it, and you just can’t get much easier than the setup for iCloud Backup. Apple’s whole purpose of making the process easy and automated is to prevent the kind of data loss that users used to experience, and Apple employees such as Genuis Bar workers used to see when it was left to users to connect to iTunes and wait for a backup to happen. Between iCloud’s automated backups and the occasional manual iTunes backup, you should be completely covered. If you run into issues with any of the details of your iCloud backup, such as storage space or what to do with your photos, hopefully the instructions here will help out. If you have additional questions, I am happy to help. Just drop me a line in the Comments below, on our Facebook page, or on Twitter @iPadInsightBlog.